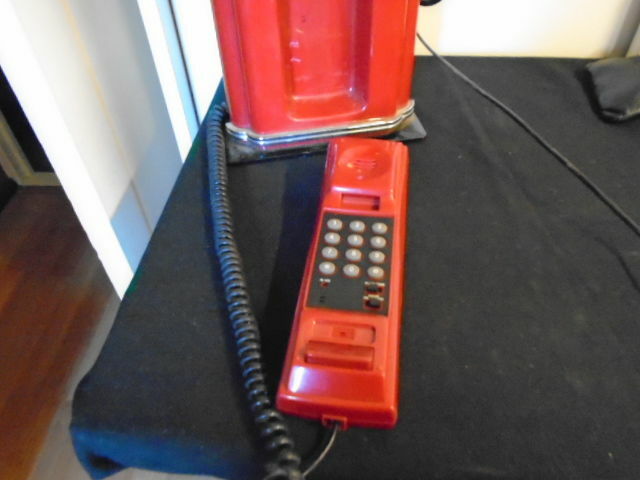 This is really a very special telephone for people who love memorabilia from the 1950s. 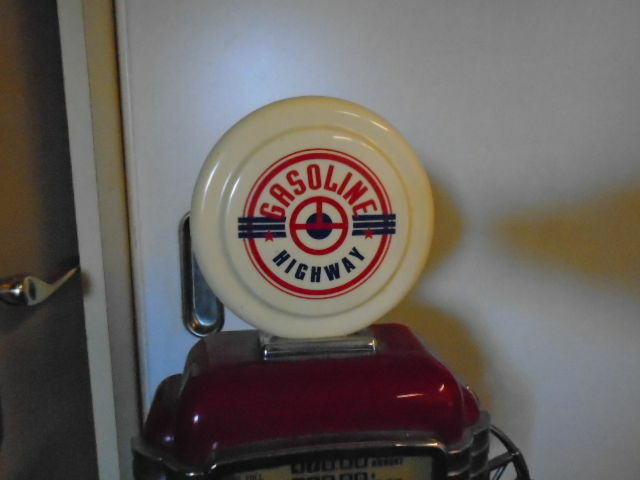 This American petrol pump, with its typical advertising globe on top, could be seen along every highway in the fifties.. 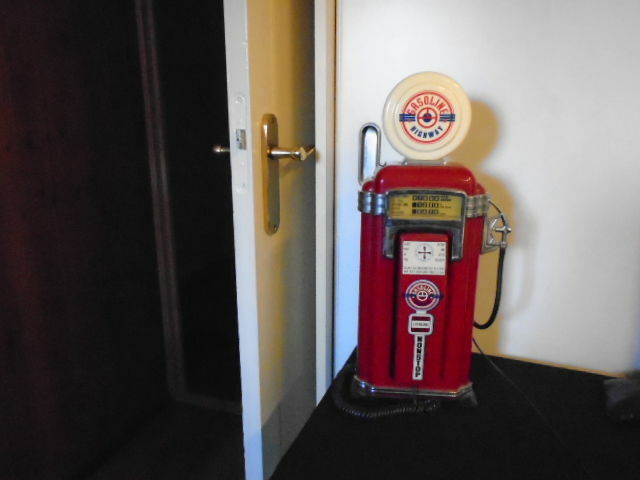 This memorabilia object is highly decorative, for the collector. 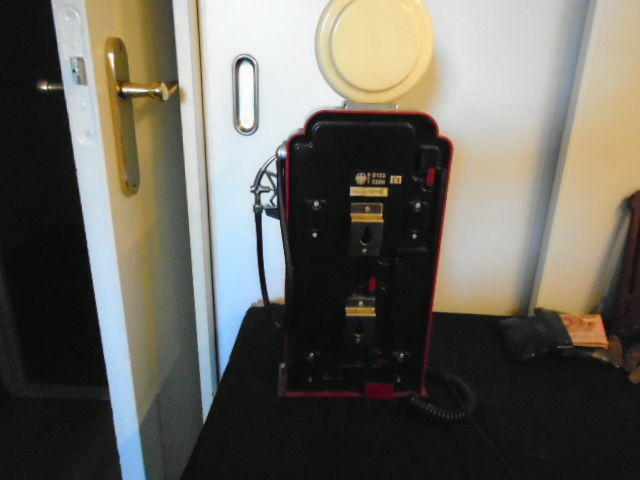 The telephone measures 42 cm in height, 19 cm in width and 9 cm in depth and can placed in standing position or mounted on the wall. The device has been tested and works! 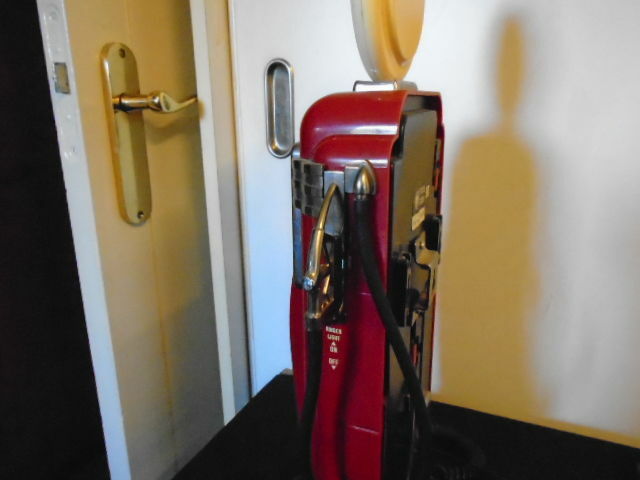 A light at the top and inside the litres display lights up when the phone is being called. The “ringer” can be turned on or off. A very nice decoration object!